For years the typical affiliate program management strategy has been comprised of recruiting and managing shopping, coupon, loyalty, rewards, employee perks, and content publishers, but in the past couple years the buzz word is “Influencer Marketing”. Well what does this actually mean? Some marketers use Influencer marketing to establish credibility in the market, others to create social conversations around their brand, others to drive online or in-store sales of their products. In the affiliate marketing world, we need to see ROI, so we are primarily concerned with the Influencer converting her followers into paying customers for our products. If you are an Merchant in the fashion space, having a base of Influencers is mandatory if you want to “get found” online these days. The industry standard seems to be that an Instagram Influencer gets paid $1,000 per 100,000 followers. YouTube: Roughly $2,000 per 100,000 followers. I like this article from Digiday, which gives great insight into Influencer pricing . Many of the top Influencers in the fashion space now have agents! Yes, you have to work with their Agent if you want to make a deal with them. This fee is often in addition to the commission you will be paying them for sales that come through. Invitation-only fashion publisher network and top affiliate RewardStyle provides “Agents” for its top Publishers. For example, if you want to work with Cellajane.com, a top tier fashion Influencer/Blogger, her RewardStyle agent will negotiate on her behalf with you as a potential advertiser. From my own personal experience, typically high level coveted Influencers will not negotiate terms with you for an increased commission or free product, she typically wants a guaranteed payment to incorporate your brand into her content, whether that be a social media or web site mention. My suggestion if you are a start-up and have a limited budget would be to do small test placements with the small to medium sized Influencers with high engagement in your niche, often they will do an Instagram post for under $500. I have even been testing offering them free product in exchange for a hashtag shout out, and that has worked with my client in the designer eyeglasses space. 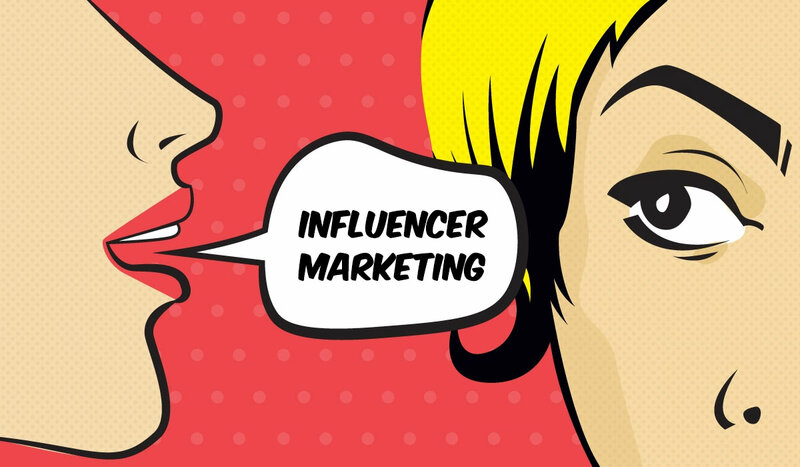 It is important to note that the size of the Influencers audience does not always translate into sales, some of the small to medium sized bloggers have very loyal (engaged) followings and truly look to these bloggers as taste makers and this is how they are introduced to new products and web sites. 1.Traffic: The Referral visitor’s metric is a major indicator of the Influencer marketing campaign success. Google Analytics offers an incredible amount of referral source data for you to analyze. Set up a custom UTMs for tracking your campaigns sales conversions. 3.Engagement: Identify how users interact with content from an Influencer. While this type of activity does not directly impact sales, it is effective for building awareness and consideration to advance users down the conversion funnel. The bottom line with using Influencers in your affiliate marketing strategy would be to test, test, test. Try the cheaper social media mentions that can often be under $500 with a handful of very targeted partners and see the quality of the traffic, if you see a return you can always increase the volume and size of the placements to include more expensive You Tube reviews, dedicated sponsored posts, and more custom collaborations. Please share your experiences with Influencer Marketing as it ties into your affiliate strategy?